**Utterly mindblowing compendium of albums, rarities and archival recordings from one of the most compelling characters to have emerged from the 1980's cassette/wave/underground, made in an individually numbered edition of 600 copies for the world including a certificate of ownership and individual sleeves housed inside a deluxe, embossed canvas box** After blowing us away with that gargantuan box of Geman Punk & Wave, Vinyl on Demand return to present one the year's most anticipated archival issues - a comprehensive collection of material by seminal NYC-based minimal synth mistress Tara Cross, mostly released on cassette and vinyl between 1982 and 1989. As one of the leading female figures of the '80s cassette underground, Tara created a lo-fi but distinct aesthetic with meagre means; just an Electro-Harmonix mini synthesizer, primitive drum box and vocals recorded to tape. After starting out in punk bands, she developed an unconventional, artfully experimental style of minimal synth music which appeared on several cassette releases and more recently on a number of Minimal Wave compilations, including the 'Minimal Wave Tapes' release with Stones Throw. With 65 tracks included here, Tara was evidently a prolific artist making an incomparable mark in a severely male dominated field. The compilation is presented in chronological order. The first LP contains nine attention deficit 'Spurt Ditties' from her 1982 cassette, and five selections from 1983's 'Waiting For The War', covering a spectrum of expressions from incredible drum machine bursts to music box oddities, arabesque drones and warped wave music. The music on the second LP is more developed, opening out into longer, more layered synthpop experiments with Henk Wallays of Unovidual and stranger, fragmented sounds with Port Said's Stefan Tischler made between between 1984-88. The third disc features compilation tracks from 1985-1989, from baroque machine miniatures to discordant pastoral pops, while disc four covers her most substantial tracks, working with an expanded instrumental palette and ornate song structures for 'Tempus Fugit' and some wonderful beatless ambient sections, depositing us at the stunning darkwave closer 'Aalter Image'. 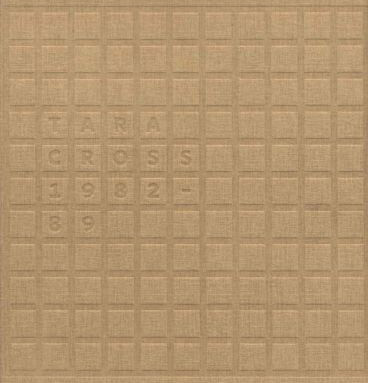 Judging from this body of work, Tara was unswayed by other musical movements of the era and irrevocably in love with the mystical potential of electronics and the way they allowed her to express a truly unique identity. There's just so much to immerse yourself in over this enormous set - making for one of the standout archival editions we've honestly ever seen. Just so so good.